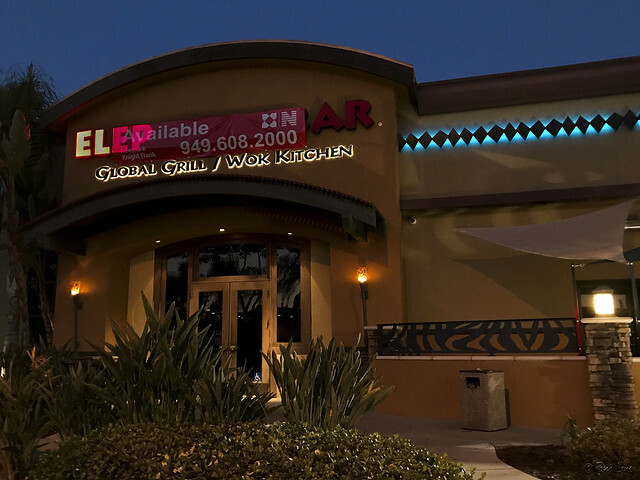 The Elephant Bar restaurant was one of the original restaurants in Downey Landing when the shopping center opened in 2006. It recently closed, a victim of its parent company's Chapter 11 bankruptcy. All that's left of its name is "ELEP," partially showing through the banner advertising the site's availability. Here's hoping for a classy new restaurant to take its place.